Drug rehab clinics come in a range of sizes, with those that are capable of treating just a few addicts on a personal basis, and the ones that are large enough to securely house dozens of sufferers at any given time. One thing that many people find themselves asking, is how effective these facilities are at offering addiction recovery. The truth is that different clinics will boast their own unique rates of success; but in the majority of cases, those that offer the best results will be far more popular than others. There are many different drug rehab facilities in Australia (some free, others paid), but all of them will share one common purpose in mind and that’s to aid their patients in recovery. The easiest way to understand the potential of different clinics is by understanding the way in which they operate. Some are free to use (most commonly Christian drug rehab centres) and these ones might seem like the cheaper alternative, but in reality their drug-free recovery programs are actually very highly acclaimed. Then there are paid centres, the likes of which can charge up to (and more than) $10,000 a month – and it’s these ones that often receive the most publicity as many celebrities and wealthy individuals rely on them for their treatment. It’s not just the facilities to consider either, it’s the features that they offer; including their resources, programs and courses. Some clinics might specialise in the tried and tested 12 step program – a system that is used to treat alcoholism as well as drug addictions. These programs are considered some of the most effective, but they do require a lot of effort on the part of the addict. In most instances, the patient will be required to remain present on an in-patient basis – and only when the specialists on site deem them to be free from their addiction will they permitted to switch to out-patient status. So, Are All Programs Reliable? There are many factors that can contribute to the reliability of a course, or a program. 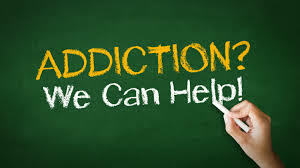 These include the effectiveness of the techniques provided by those offering the service (which in the majority of cases can be very reliable), as well as the addicts willingness to overcome their condition. Some people find their habits too hard to address, while others may get clean, only to relapse in the future. It all depends on the combined services afforded by the clinic, their aftercare support and the patient’s capabilities to stay on the straight and narrow. If all goes well then the risk of relapse will be fairly minimal, and studies have shown that roughly 60% of those treated will go on to live clean and sober lives. In 40% of cases however, people can walk away from their treatment mid-course, or relapse and go back to their drug abuse.